We have a number of sessions running in the Lincolnshire area. We have swimming lessons for baby, toddler and pre-schoolers, as well as school age children running in Nettleham, Lincoln, Wragby and in Girton, Newark. All of our baby and toddler swimming lessons are run during the school term time. Once you have enrolled on a swimming course, we will send you a list of the term dates. Find out more about our baby swimming lessons, toddler swimming lessons, and child swimming lessons for pre-schoolers by clicking on the Baby Sprites, Bubble Sprites, and Aqua Sprites icons at the top of the page. To view the term dates please click here. The cost per swimming lesson £12.50 for all locations. The cost for the full term is paid upfront in one instalment when you enrol. Our prices are very competitive compared to other baby and toddler swimming lessons in the area. 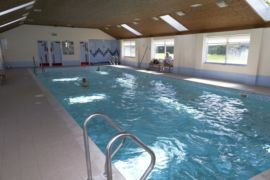 Our swimming lessons are run in warm private pools in both Nettleham, Lincoln, Wragby and Girton, Newark, to create a relaxed and comfortable atmosphere for both you and your little one. To book on any of our baby, toddler or independent swimming lessons in Lincolnshire or Newark please contact Liz via e-mail on liz@watersprites.co.uk to start your little Water Sprite on their magical swimming journey today!